Movidius, the leader in low-power machine vision for connected devices, today announced that it is working with Google to accelerate the adoption of deep learning within mobile devices. As part of the agreement, Google will source Movidius processors alongside the entire Movidius software development environment. 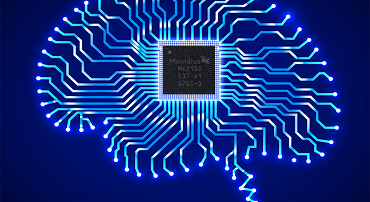 In turn, Google will contribute to Movidius’ neural network technology roadmap. This agreement enables Google to deploy its advanced neural computation engine on Movidius’ ultra-low-power platform, introducing a new way for machine intelligence to run locally on devices. Local computation allows for data to stay on device and properly function without internet connection and with fewer latency issues. This means future products can have the ability to understand images and audio with incredible speed and accuracy, offering a more personal and contextualized computing experience. Google will utilize Movidius’ latest flagship chip – the MA2450. The MA2450 is the only commercial solution on the market today with the performance and power-efficiency to perform complex neural network computations in ultra-compact form factors. The MA2450 is the most powerful iteration of the Myriad 2 family of vision processors, providing a series of improvements over the first-generation Myriad 2 VPU announced last year, the MA2100. “The technological advances Google has made in machine intelligence and neural networks are astounding. The challenge in embedding this technology into consumer devices boils down to the need for extreme power efficiency, and this is where a deep synthesis between the underlying hardware architecture and the neural compute comes in,” said Remi El-Ouazzane, CEO, Movidius.